Many would say that Cardiff is just about its nightlife. Saturday nights draw thousands to the city's bars and clubs, in St Mary Street and Greyfriars Road. There's also a wide selection of restaurants, in popular areas like Mill Lane and Eastside in the city centre or Mermaid Quay in Cardiff Bay. Finally, why not take in a show at the New Theatre or Wales Millennium Centre or see a concert at the Cardiff Arena. Cardiff has several large venues which draw visitors form far and wide. The Cardiff Arena host major gigs and concerts whilst the Wales Millennium Centre attracts large scale touring shows. Of note is the New Theatre, the city's last historic venue, opened in 1906. 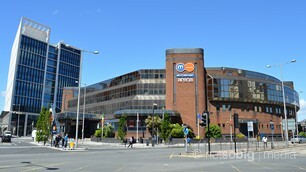 Cardiff has a wide selection of restaurants, with many national chains moving into the city. Popular dining areas are Mill Lane with its outdoor seating, the secluded Old Brewery Quarter, Eastside in the St David's Centre or Mermaid Quay down in Cardiff Bay. The city is full of well known restaurants, bars and clubs. Check out Mill Lane with its outdoor seating or the secluded Old Brewery Quarter. Saturday nights are especially lively as thousands of party goers flood into the city centre. 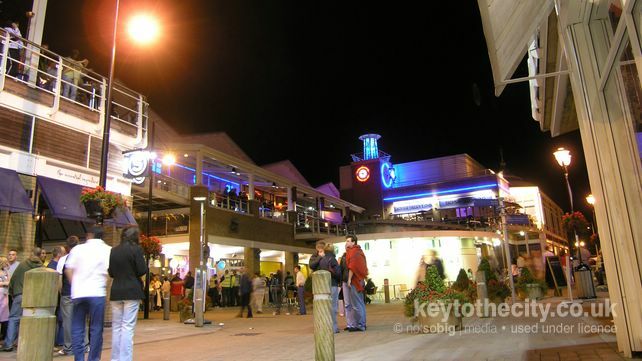 Mermaid Quay is at the centre of nightlife in the Bay. Here you'll find many restaurants and several bars which are popular for early evening drinking. More restaurants can be found nearby in the Red Dragon Centre which is also home to the Odeon Cinema. Saturday night is Cardiff's biggest night out and thousands from the surrounding valleys as well as a myriad of stag and hen parties descend on the city centre. The busiest bars and clubs can be found on St Mary Street, Mill Lane and Greyfriars Road. This is the busy heart of Cardiff's Nightlife, including the (in)famous St Mary Street, the cosmopolitan Mill Lane (also known as the Café Quarter and popular for outdoor drinking) and the Old Brewery Quarter development. You can also find takeaways on Caroline Street. This area of Cardiff has expanded over recent years. New bars on Greyfriars Road and The Friary have produced Cardiff's second main nightlife district. Home to nightclubs Pryzm, Glam and Tiger Tiger. The trendier part of Cardiff, centred around the historic Womanby Street. Lots of independent bars attracting an alternative crowd. You can also find Revolution in this area too, opposite Cardiff Castle. The leisure part of Cardiff Bay centred around Mermaid Quay. Stunning views and outside drinking on sunny days. This section lists the popular casinos in Cardiff and also features any other late night entertainment available in the city.